Let the games begin! 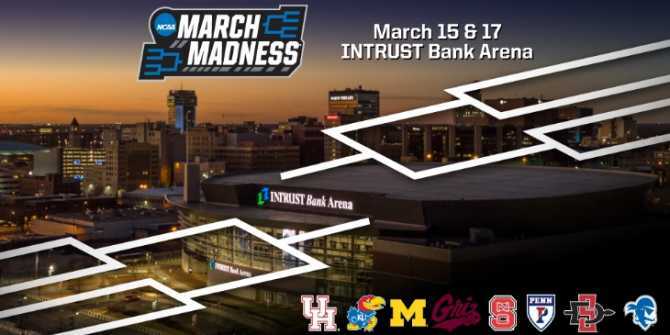 The field for the 2018 NCAA Men’s Basketball Championship has been announced and we now know which eight teams will be playing at INTRUST Bank Arena. Session 3 game times for Saturday, March 17 will be announced upon the completion of Thursday’s games. If you’re a college basketball fan planning to take in the NCAA tournament games in Wichita, be sure to check out this blog post: Your complete guide to attending the 2018 NCAA men&apos;s basketball tournament in Wichita. To have all your NCAA in Wichita questions answered, check out our welcome page for basketball fans.